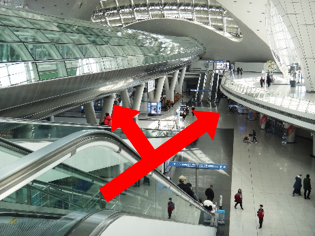 This is the simplest way to reach Daejeon from the Incheon airport (ICN). Buses operate frequently (every 10 - 30 min.) from 6:00 to 23:30, and the journey takes ca. 2.5 – 3.5 hours. 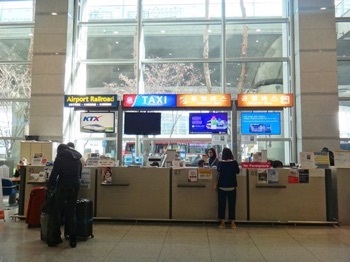 At Terminal 1, bus tickets (23,100 - 27,700 KRW) can be purchased at the ticket office between the Gates 8 and 9, while the bus stop (‘11A’) is located outside the Gate 11. 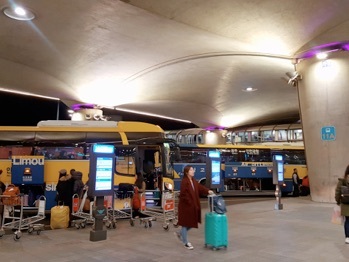 At Terminal 2, the bus stop number is ‘5’. 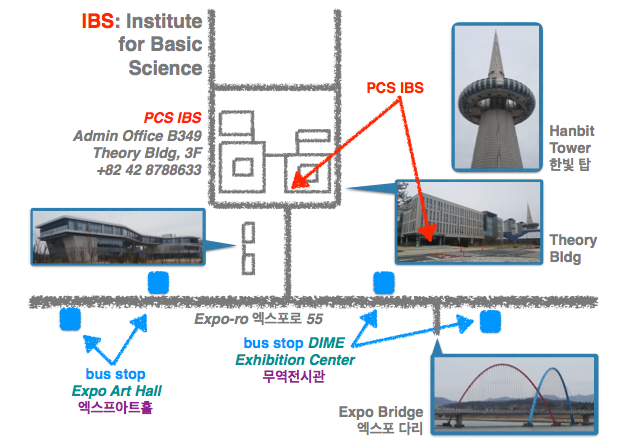 Please note that the buses start from Terminal 2, stop at Terminal 1, and then head to Daejeon. In Daejeon, get off at Daejeon Government Complex stop, where you can find a taxi. P.s. 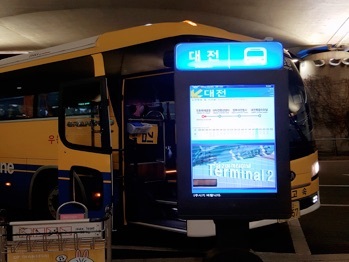 Returning visitors staying at Gaon Residence Hotel: Ask the bus driver to stop at Doryong stop when you get on board. 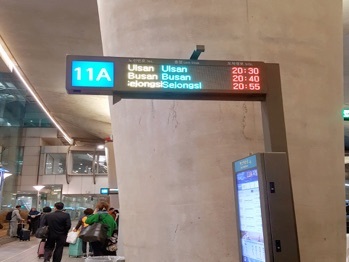 Numerous trains connect ICN airport ↔ Seoul and Seoul ↔ Daejeon. Tickets can be reserved at: http://www.letskorail.com/ebizbf/EbizBfTicketSearch.do (travel type “transfer”). The online reservation confirmation has to be exchanged for the actual ticket at the ticket office (present also your passport). 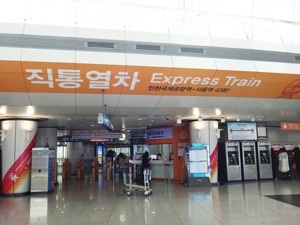 Seoul station can be also reached with AREX All Stop Train and AREX Express Train. Train tickets can be purchased on-site. 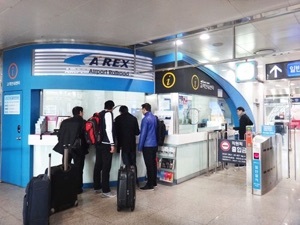 More information on AREX trains can be found at: http://bpl.kr/EO Please note that the train ticket for Seoul ↔ Daejeon might have to be purchased at Seoul Station. 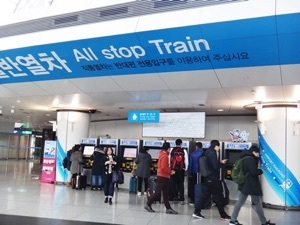 Reach Seoul station with AREX All Stop Train or AREX Express Train, and transfer to KTX trains. 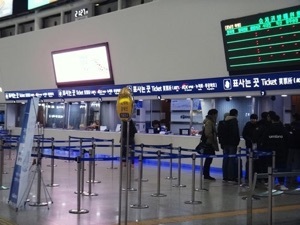 Tickets for Seoul ↔ Daejeon can be purchased at Seoul Station – cf. 2. By train (with transfer in Seoul) for further information.